More than almost any other game this year, Phantom Doctrine feels like it was practically hand-crafted for me. X-COM-inspired combat system? Here for it. Connect-the-dots investigation puzzles? Yes, please. Cold War setting? Feed this thing straight into my veins already. By all means, let me wage my own shadow wars. I’ll field black-ops agents ‘till the sun comes up. 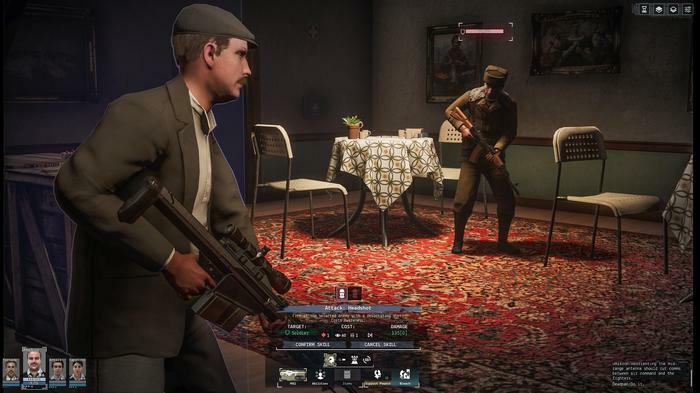 Developed by CreativeForge Games (Hard West) and published by Good Shepherd (Where The Water Tastes Like Wine, MachiaVillain), Phantom Doctrine is a tactical strategy game that tasks you with running your own spy agency. Set during the height of the Cold War, you’re double-crossed and left out in the cold by shadowy cabals with murky agendas. This. Whole. Thing. Is. So. Absolutely. My. Jam. From start to finish. Unfortunately, by the time I did hit the credits, I came away a little tired of jam. 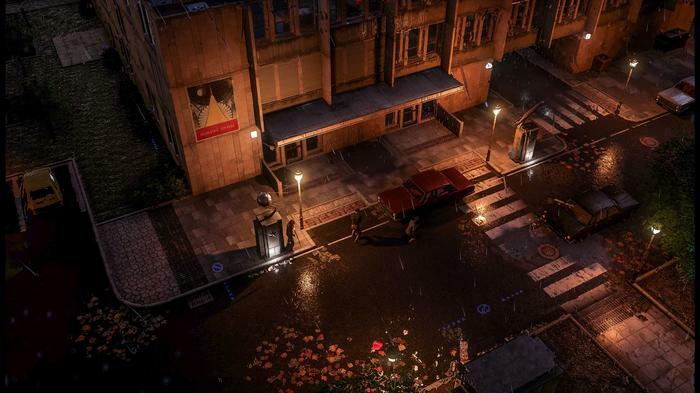 The first way - and most-straightforward - way to examine Phantom Doctrine is how it compares to X-COM. It’d be unfair to call it a rip-off or anything like that. After all, even X-COM itself owes its fair share of design debts. Still, there’s enough in common to call it derivative by design. 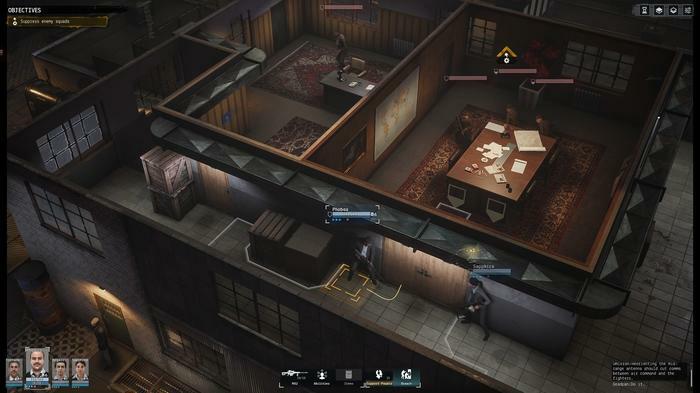 And like X-COM, Phantom Doctrine is split into two halves: one where you manage your agency headquarters and one where you head into the field to complete missions. The latter is where you'll be spending the bulk of your time - so let’s look at that first. 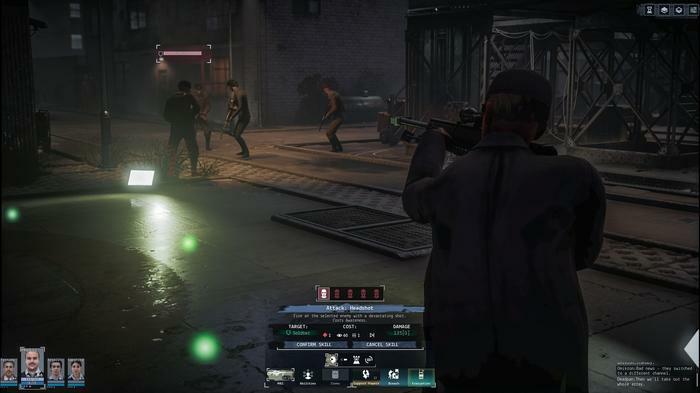 During missions, you’ll control a squad of up to six agents. Each turn, you get move and activate your agents. Then, hostile NPCs make their moves. Rinse. Repeat. You get the drill. If we’re talking broad-strokes, this part of Phantom Doctrine wears its influences on its sleeve. Sometimes you’ll find yourself infiltrating a compound and assassinating (or kidnapping) an enemy agent. Other times, you’ll have to disarming several bombs. Sometimes you’ll be rescuing a captured agent. Sometimes your goal is simply to kill every enemy on the map. If we’re being honest with ourselves, there’s a decent amount of variety in the mission types here. But not nearly as much as I’d like. It doesn't help that most of the missions end up recycling a lot of the same assets and layouts. After about eight or so hours, I felt like I had seen all the mission types Phantom Doctrine had to offer. About eight hours after that, I was completing them in what felt like the most efficient way possible. Another eight hours later, I had tired of the formula. That said, and to its credit, Phantom Doctrine does incorporate more than a few mutations on the blueprint it's borrowing from. Should you take the time to prepare and scout a mission, you’re able to deploy support resources like air-strikes or spy-cameras. They're not game-changers, but they do open up some unique possibilities. 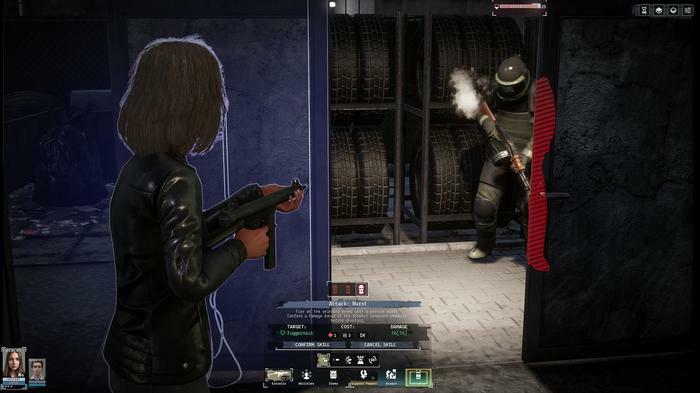 Another difference between Phantom Doctrine and X-COM is the way that stealth works. In X-COM 2, stealth sequences are an appetizer. They’re the prelude. A warm-up to the game’s trademark nail-biting combat encounters. Phantom Doctrine’s approach is a little different. Most missions start in stealth. And they’ll stay that way until you break it. Until that happens, you’ve got as much time as you want to work with. You can take your time to scout out the map. Find the right avenue of approach. Explore weak-points in the enemy defenses. Pick off isolated guards with silent takedowns. You can even dispose of bodies. Rare is the mission in Phantom Doctrine that can’t be completely resolved in stealth. Rarer still is one where you’ll actually want to go loud. When it’s this easy to take apart the defensive patrols without near-zero risk, why try anything else? Most of the time, I was happy to resort to crawling my way through each map. It was tedious as hell. But it got the job done. Part of the reason for this was that the firefights in Phantom Doctrine weren't very fun. In fact, they felt like the weakest link in the whole experience. While there’s a charm to the pseudo-realistic shootouts mechanics, it usually ends up being more trouble than it’s worth. Most agents can only take one or two direct gunshots before they go down. Even full cover doesn’t provide nearly enough of a defensive bonus to make any sort of tactical maneuver worthwhile. The situation becomes even worse once the reinforcement mechanics enter the picture. 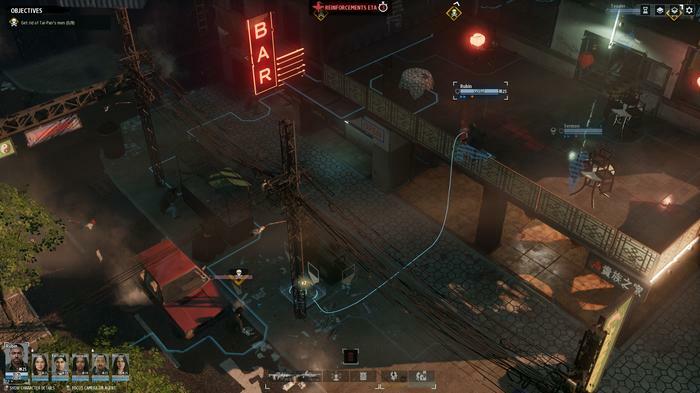 It might share a lot with Firaxis' series, but you cannot approach fights in Phantom Doctrine the way you do in X-COM. Following detection, NPCs mobilize with frightening efficiency to seek and destroy your agents. And even if they don’t, the reinforcements that get added to the map every few turns thereafter will. No matter how well-equipped your team is, it’s only a matter of time before they're worn down. The UI in Phantom Doctrine can also be infuriating and unclear about whether actions or movements will cause you to break stealth. This led to a lot of situations where I’d lose stealth too early and have to reset. I even had one situation where I spawned onto the map in a way that immediately broke stealth - trapping me in a firefight I couldn't win from the outset. The sum result here is that, with the penalty being as high as it is, you never end up wanting to take anything but the stealthiest route available. From a tactical perspective, an all-out assault loses out to subterfuge every time. The other way to analyze Phantom Doctrine is as follow-up to Hard West. Hard West was fun, but it was also pretty flawed. Moment to moment, CreativeForge managed to find a solid riff on the formula. Unfortunately, between those moments, the game was undercut by the absence of any big picture. There's was little macro-strategy in the mix, only isolated micromanagement. There was no 30-hour grand strategy campaign tying everything together, and Hard West felt a bit disjointed as a consequence. 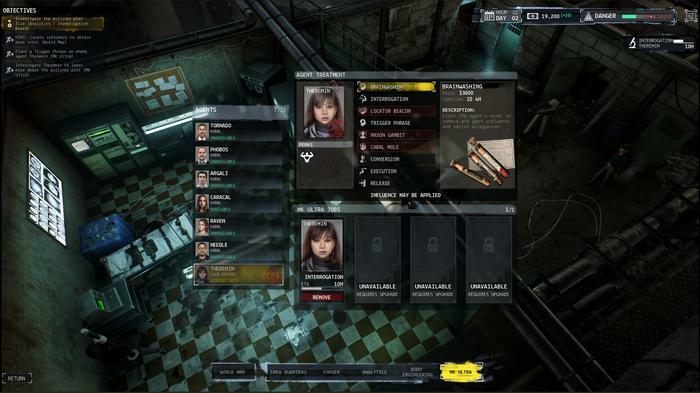 The addition of exactly this is the biggest difference between Phantom Doctrine and its predecessor. 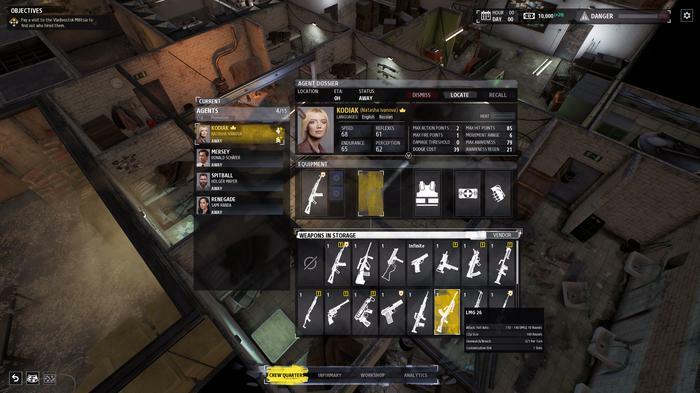 Between missions, you’ll buy upgrades for your hideout and agents, dispatch agents to meet with informants and sabotage hostile agency activities. The goal here is to put together gathered intelligence and uncover the conspiracy you’re tasked with dismantling as part of the game’s story. Through consultation with your very own Charlie Day-style evidence wall, you’re be able to read through the intel you’ve gathered. By finding patterns, you're able to discern what the various code names and pseudonyms referenced in intel each represents. This ends up being a neat bit of puzzle solving that doesn’t usually make the cut in even the most die-hard of espionage games. It’s a welcome addition. Unfortunately, like every other aspect of Phantom Doctrine I enjoyed, I grew tired of it well before the game’s conclusion. Part of this is down to Phantom Doctrine’s central narrative. It starts reasonably well. However, it doesn’t take before things begin to feel tedious and bogged down. Like a Netflix Original, there’s just not enough story-content here for the amount of time it all takes to unfold. There are a lot of mechanics here that feel like they’re introduced to enhance the theme - or to pad out the experience - rather than because they’re all that fun or strategically compelling. It's neat to capture, brainwash and turn enemy agents against their comrades. But it's never really all that necessary. 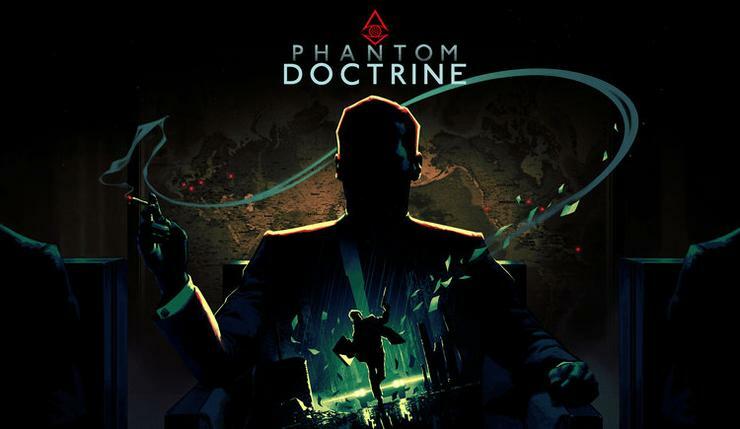 A full playthrough of Phantom Doctrine took me about thirty hours, but I could definitely see it taking closer to forty and beyond if you take your time. And, for better or worse, getting to the bottom of things in Phantom Doctrine will take you multiple playthroughs. When you first boot up the game, you’ll have the option of seeing the story through the eyes of either a CIA or KGB agent. 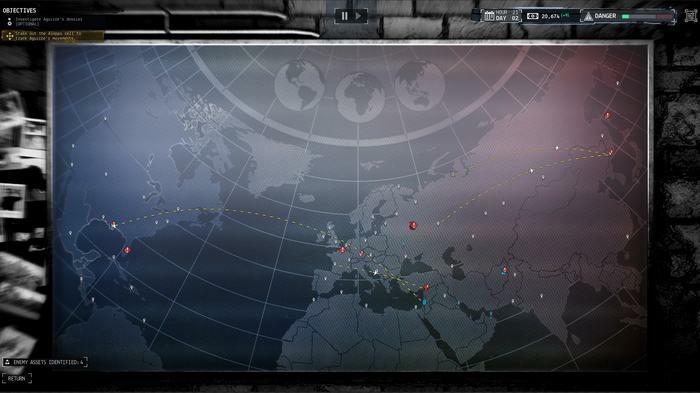 Then, once you’ve completed your first run, a third option is unlocked where you get to experience a fresh side of the story as a Mossad agent. Unfortunately, pending any major post-release content updates or balance changes, I’m not sure I can really see myself coming back for more. The multilayered mysteries of who did what and where wrap around one another ad infinitum. Questions usually only lead to more questions and, perhaps-inevitably, it all comes across as a little muddled. Then again, if you’re a diehard fan of the Cold War history and the pulpy thrillers that CreativeForge are trying to evoke, maybe that’s exactly what you want. Mysteries within mysteries and code-names within code-names are definitely a part of the genre’s trappings. 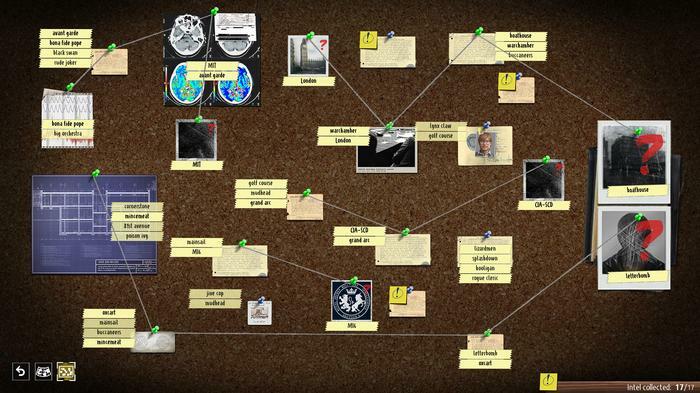 Phantom Doctrine doesn’t shy away from paying lip-service to famous intelligence organisations like the KGB, FBI and NSA. It even occasionally even ties major story beats to important historical events. However, I was disappointed that CreativeForge didn’t try to take things further. It would have been great to see some sort of faction or reputation management system within the game. You cross paths with these acronyms from time to time through story missions. But, for the most part, you’re tasked with working against fictional adversaries rather than real-world ones. I’d have love to have seen a version of this game where the allegiances of your agents mattered more and where you could forge alliances with other agencies to mutual gain. Don’t get me wrong, I enjoyed my time with Phantom Doctrine. It nails the era of espionage it looks to embody. And if you’re a fan of the genre, there are plenty of tasty permutations in the mix. All the same, the game is guilty of spreading itself a little too unevenly for its own good. There’s an abundance of rich systems here. But they’re dumped on you from the get-go with little in the way of context or explanation. As a side-effect of this, Phantom Doctrine finds itself with nowhere to go once you do catch-up. If you’re a fan of this genre and setting, and are keen for a take on the formula that favors stealth, this might be up your alley. Unfortunately, if you’re a novice to genre, the repetitive missions, oblique story and tedious pacing make it tricky to recommend. Right from the get-go, Phantom Doctrine gave me plenty of reasons to like it. But I could definitely see those same reasons turning others away. This is my jam. It might not be yours.